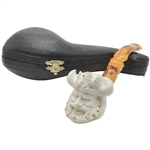 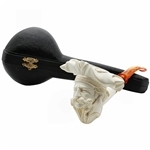 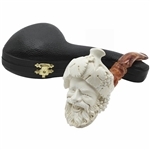 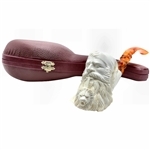 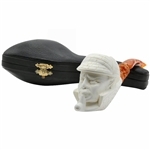 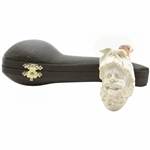 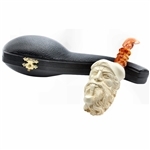 Our People Meerschaum Pipes include people and faces such as Bacchus or a Native American. 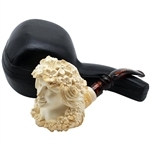 These portraits are realistic and detailed. 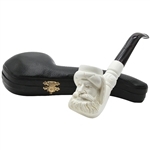 All hand carved from 100% solid block meerschaum. 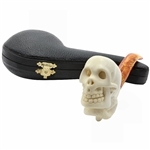 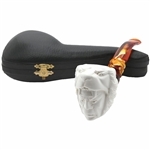 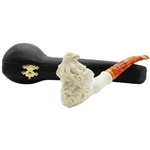 Be sure to check out these other great collections of Meerschaum Pipes All Meerschaum Pipes, Animal Meerschaum Pipes, Classic Meerschaum Pipes, Golden Brown Meerschaum Pipes, and many more great hand finished Mini Meerschaum Pipes.